The law of Spirit and life is a great liberator! 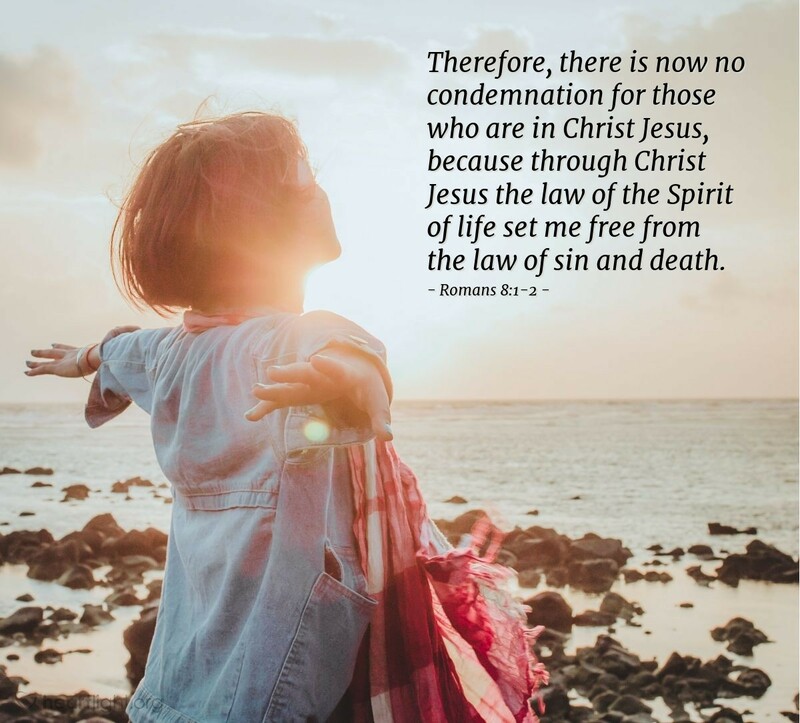 We are set free from the law of sin and death. Death has no mastery over us because of Jesus' resurrection. Sin has no claim on us because Jesus paid off our debt to sin on the Cross. We stand before God as his righteous children, free at last because of the work of our mighty Lord Jesus Christ. There is no condemnation in our future, only glory! Thank you, Almighty God, for your plan to pay my ransom and to liberate me from sin and death. Thank you for the confidence I have because of your incomparable grace given to me through Jesus, in whose name I pray. Amen.